Every day is another opportunity to make a difference. Please join us to celebrate National Pi Day at LifeROOTS! The 4th Annual Pi(e) Day Event fundraiser to help children and adults with disabilities will be held on March 14th at Builders Source Appliance Gallery located at 308 Menaul Boulevard NE in Albuquerque from 5:30 – 7:30 PM. LifeRoots will be bringing the community together for a “taste” of fun and fundraising at its annual Pi(e) Day Event – held on National Pi Day (3.14). 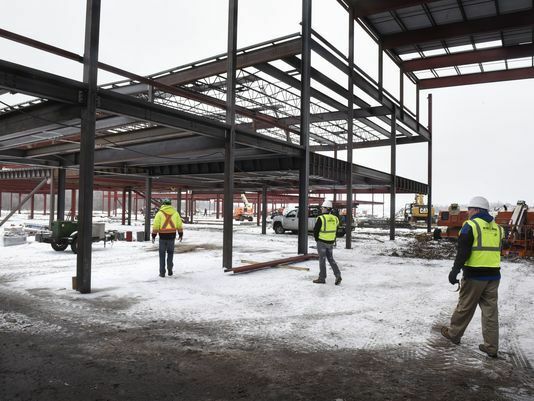 The school — scheduled completion this summer — is expecting about 600 students in kindergarten through sixth grade. It eventually can accommodate as many as 1,600 K-8 students near I-40 and 98th Street (across the street from Nusenda Community Stadium), APS said in a news release. Bradbury Stamm Hosts Junior Achievement! Bradbury Stamm Hosts Junior Achievement! 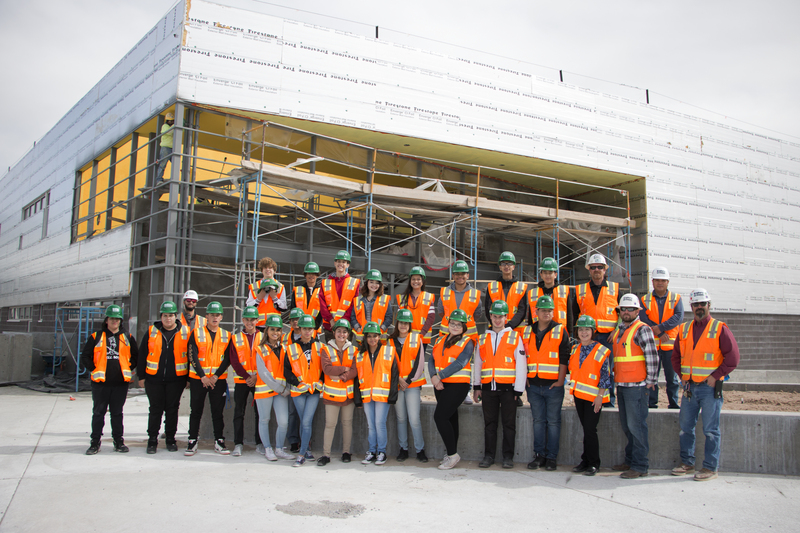 We were thrilled to share our industry with the group of Rio Grande High School Students. We toured them around the office, shared our journeys into the various positions within the company and created a mock interview for them to gain knowledge in applying for a job. 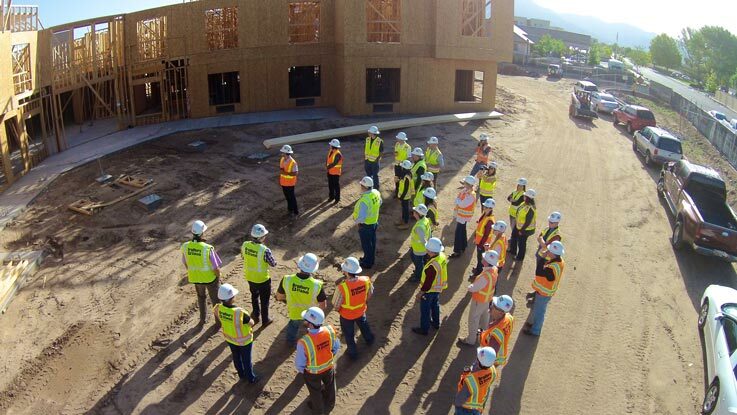 We also had lunch, talked about cool things like drones, construction cameras and the multiple technological advancements in a company and ended with a site tour of Albuquerque's westside NW K-8th Elementary. 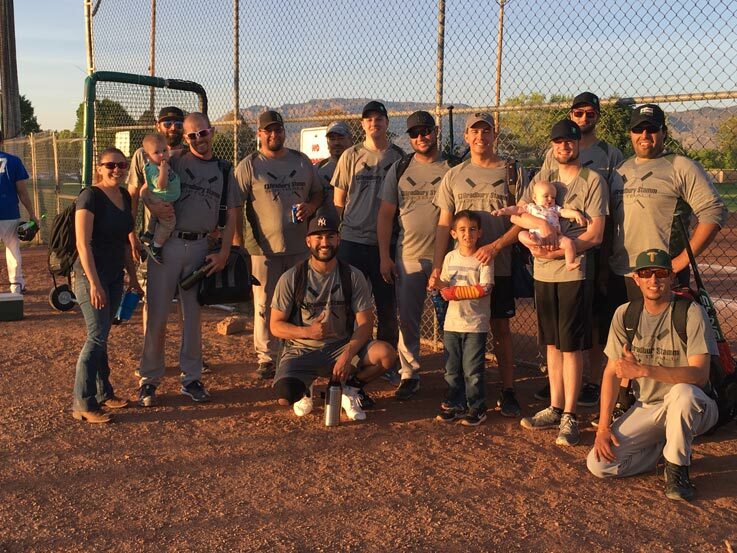 The future is bright in Albuquerque's youth! 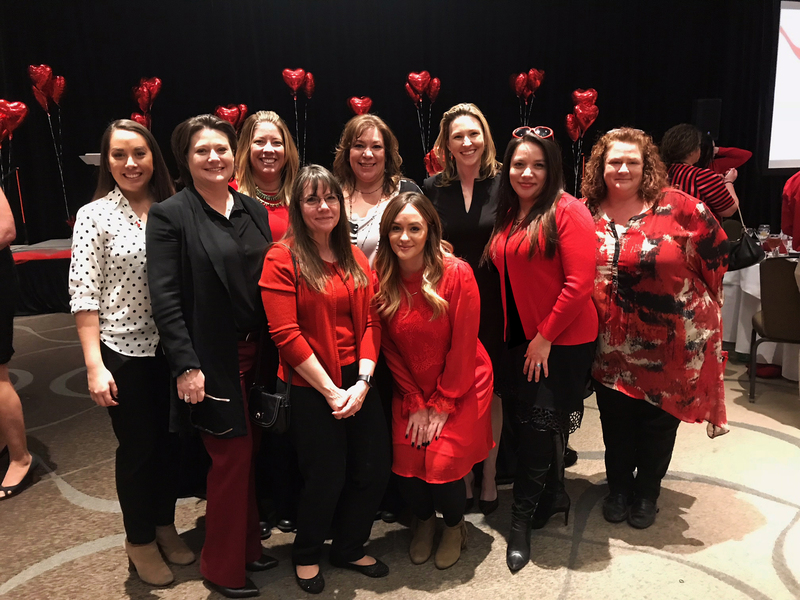 We were honored to support the American Heart Association at the 2018 Albuquerque Go Red for Woman's luncheon on February 23, 2018. Go Red For Women® advocates for more research and swifter action for women's heart health. We encourage women and their families to take action and live a healthier life. 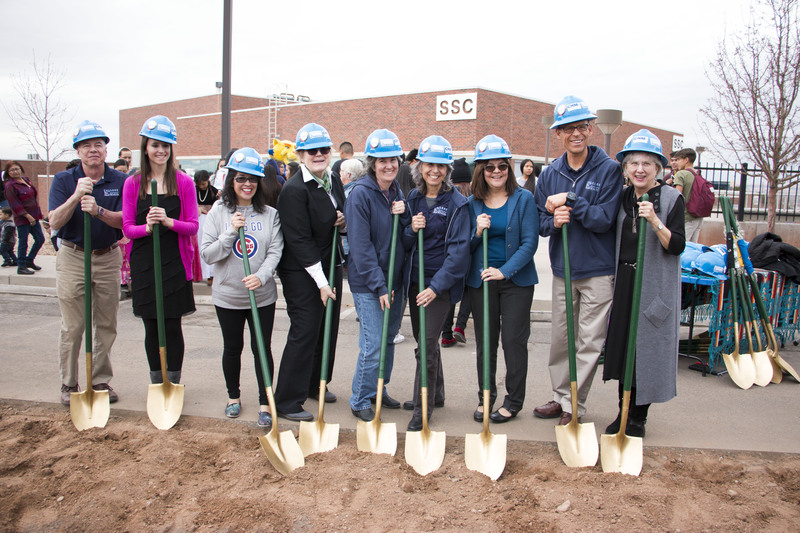 CNM Community College and APS joint instructional building groundbreaking! 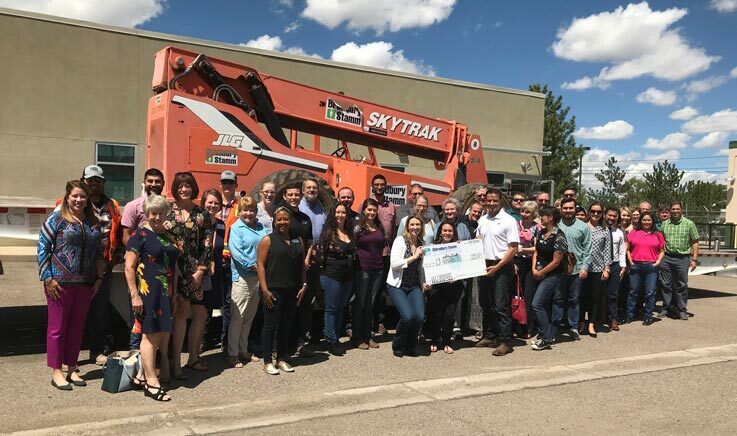 We are proud to announce our partnership with the Village of Los Ranchos de Albuquerque and the start of the 4th Street Revitalization Project! The project is scheduled to complete in the Winter of 2018. All businesses are open and will remain accessible during construction, be sure to visit the area! 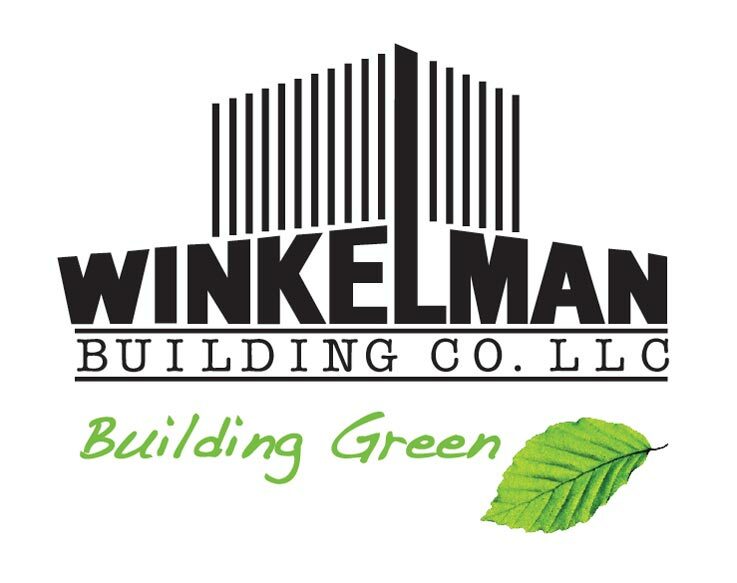 We're proud to announce that Bradbury Stamm and Winkelman Building Company, a Minnesota based general contractor, have joined forces. Together, we will continue to serve our clients, now with a greater depth of resources and experience. 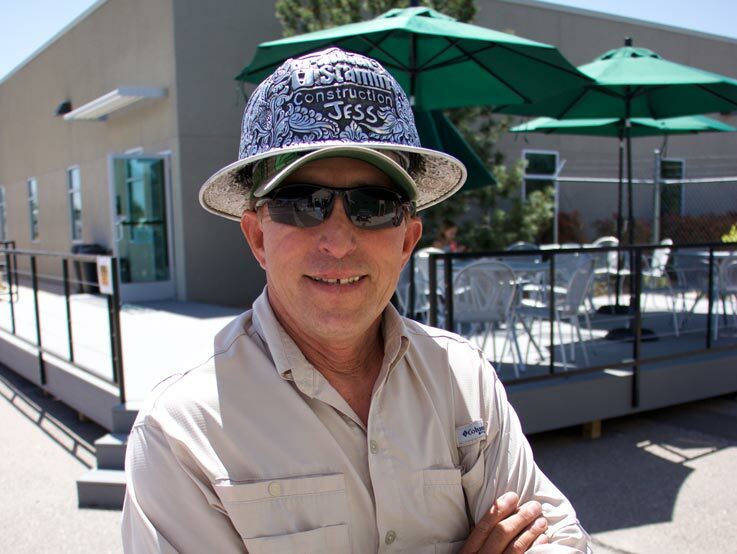 We're proud to induct Site Layout Superintendent and 37 year veteran of Bradbury Stamm Jesse Vigil into our Hall of Fame. During his time with Bradbury Stamm, Jesse has touched nearly every project we've constructed. 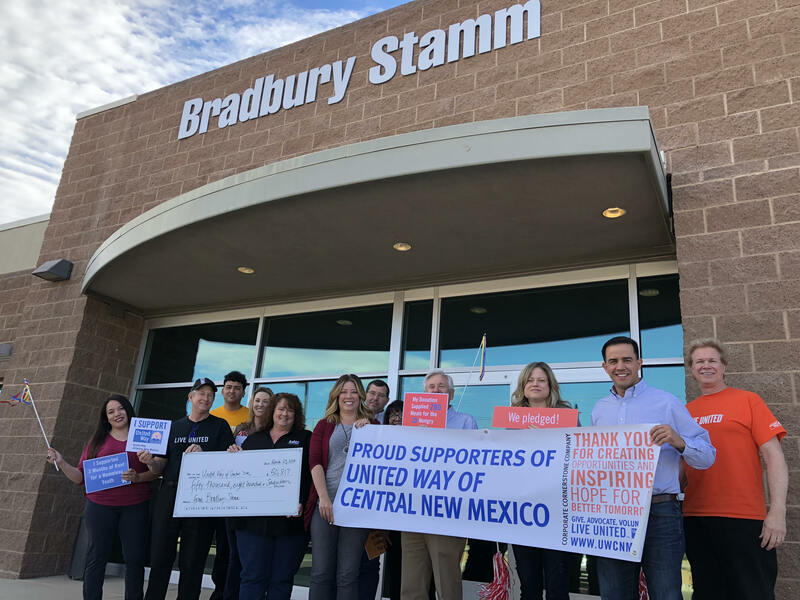 Thanks for helping make Bradbury Stamm what it is today! Bradbury Stamm and the City of Albuquerque officially signed the GMP for the ART Project today. 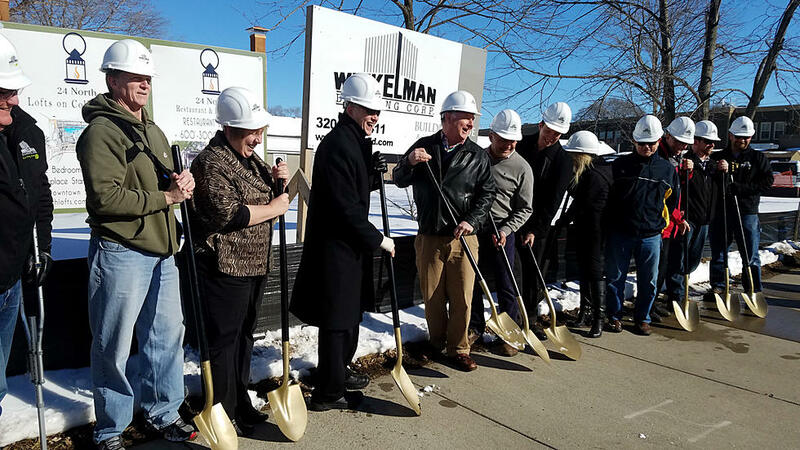 As a local contractor, we are proud to lead a team of local subcontractors that will help to maximize the economic impact of this project by keeping the jobs and funds in our community. 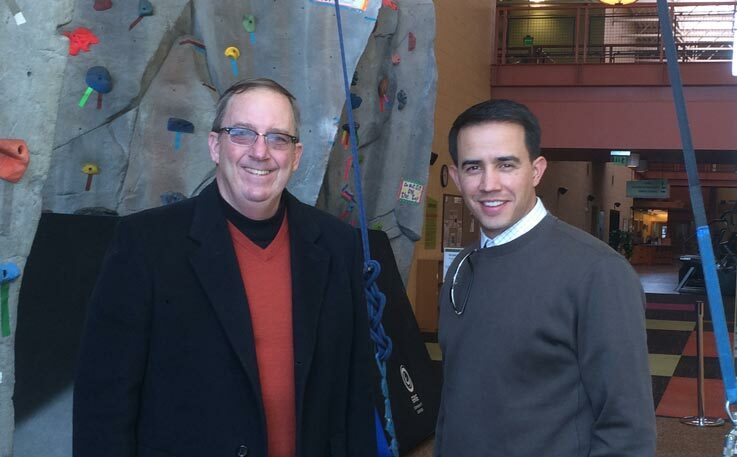 We are excited to be a part of another landmark community project for Albuquerque. To learn more visit www.brtabq.com. 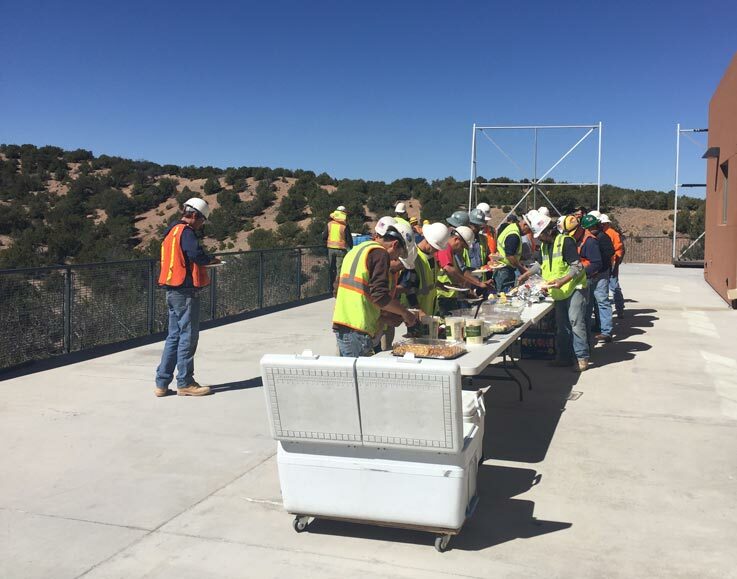 Today we celebrated the hard work of a great Bradbury Stamm project team at the Santa Fe Opera. The Phase II Renovations have been challenging and the team is working hard to complete the project which includes many back of house upgrades, the new Stravinsky Terrace Plaza and Patrons Lounge in time for the 2016 Opera Season. 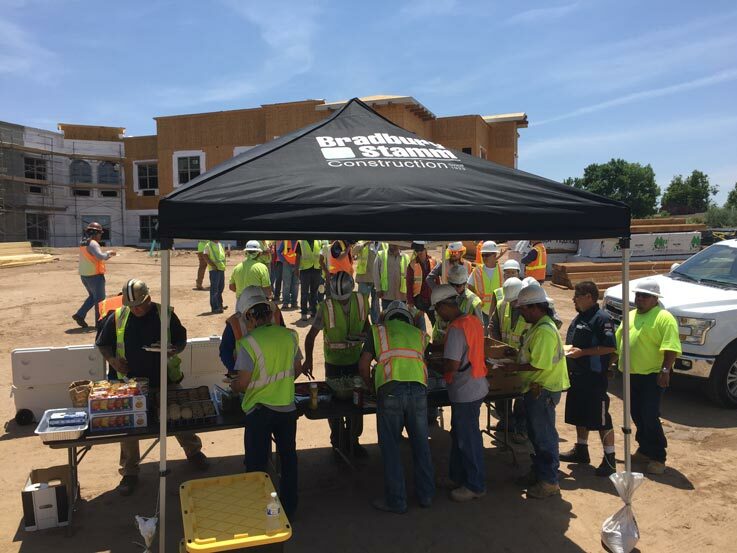 We celebrated the hard work of our project team at the MorningStar Assisted Living and Memory Care facility off of Paseo Del Norte with a cook out. 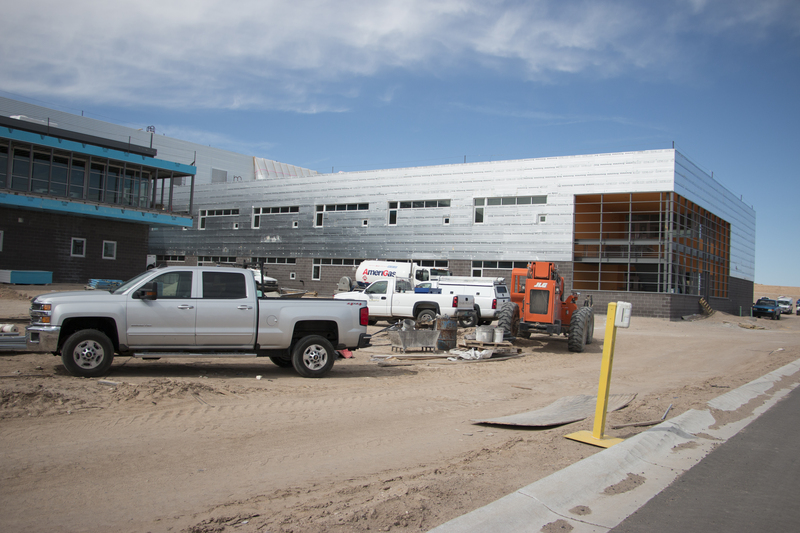 The facility is scheduled to open this fall. 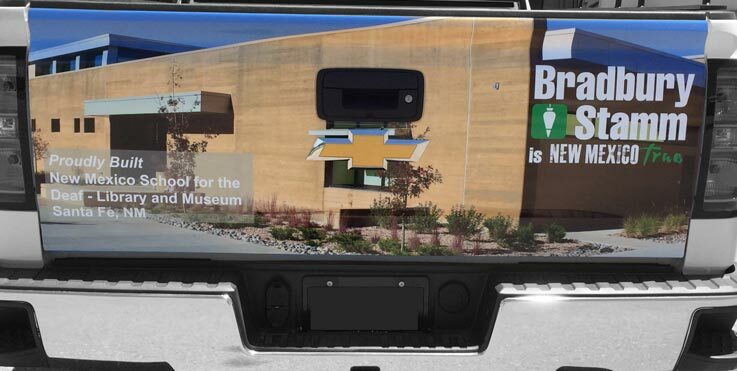 Introducing the newest member of our NM True Fleet of work trucks. This image is of the recently completed library and museum for the NM School for the Deaf in Santa Fe, NM. We are now proudly displaying 22 community projects from all across the state on our fleet of work trucks. 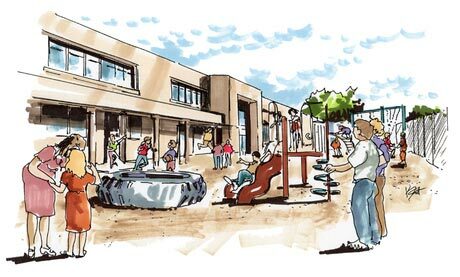 Construction for the Desert Willow Elementary School broke ground in Carlsbad, NM on May 20th. This is one of two 75,000 sq. ft. elementary schools which will be built simultaneously. The schools are scheduled to be open for school in fall 2016. We are excited to be starting preconstruction on the Casa de Corazon community center for Catholic Charities with NCA Architects. After more than four years of fundraising for Phase I of the project, the team is thrilled to see the project begin to take shape. To learn more about the project and how you can help, please visit http://www.ccasfnm.org/casa-de-corazon.html. The Bradbury Stamm Team visited our MorningStar Assisted Living and Memory Care project on Paseo Del Norte on Friday, May 8th as part of our internal educational program. To learn more about this new community, visit www.morningstarseniorliving.com. 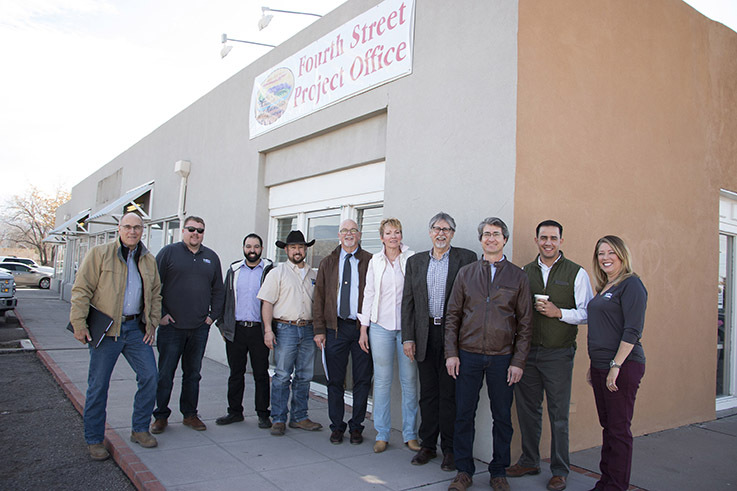 We were proud to celebrate the Ribbon Cutting of the new Bureau of Geology Building at NM Tech in Socorro, NM on Friday, May 8th. This 3-story, classroom and laboratory building includes the museum for the Bureau of Geology. This was our 3rd project with the University in the last 10 years. 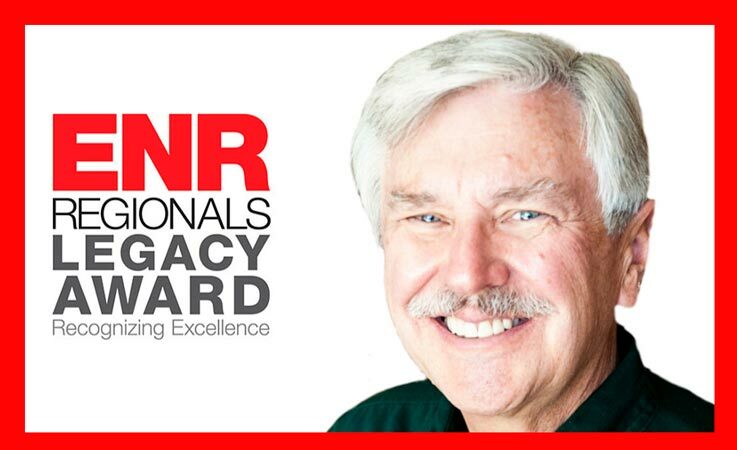 Congratulations to Jim Lloyd, VP/Sr. Project Manager on being named Outstanding Mentor of the Year and to Lawrence Peterson, Senior VP/ Construction Manager on being named Outstanding Business Professional of the year by the AGC New Mexico Chapter’s Best People Awards. Jim is an exceptional resource to the entire Bradbury Stamm Team and is involved in many exciting projects and new initiatives. Lawrence leads the Bradbury Stamm Preconstruction Team and works with Project Teams during construction to ensure success. Congratulations Jim and Lawrence! 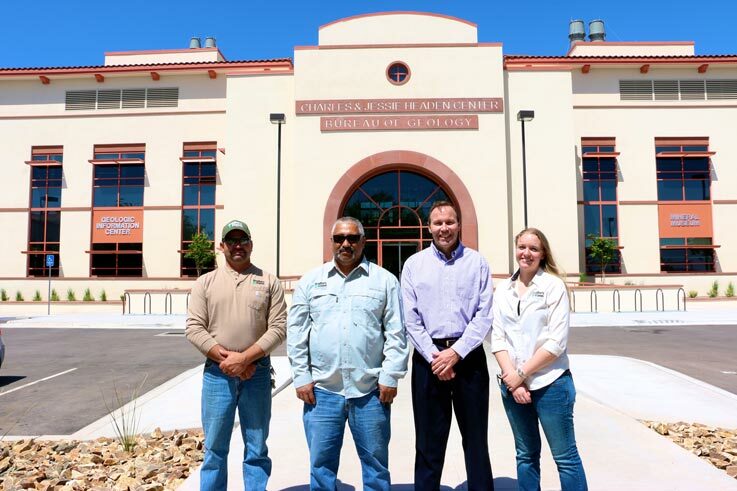 Bradbury Stamm Construction is proud to continue our partnership with the Grants-Cibola County Schools. On April 20th the team broke ground on the new Los Alamitos Middle School. 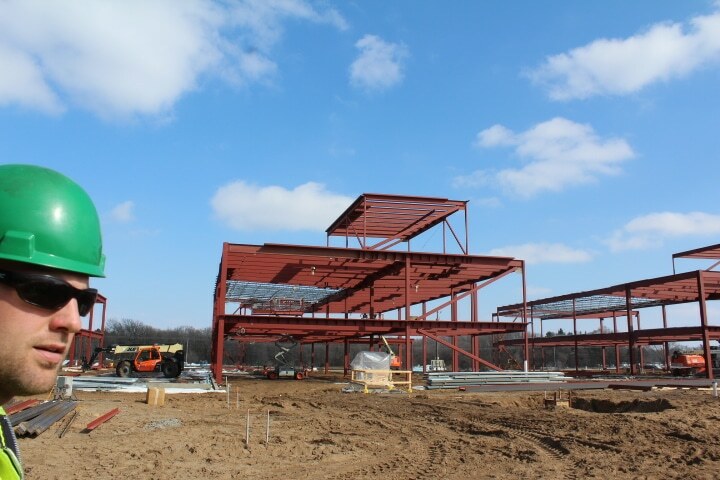 We look forward to building another great educational facility with the entire project team!